They work well and are quiet. 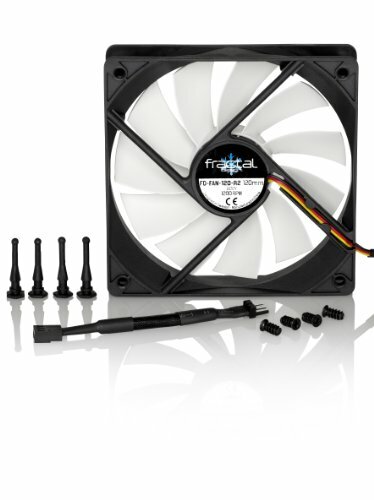 These fans (there was 2 included with the case) are quiet and silent, and moves a fair amount of air. Can get loud if you have it running at 100% speed however. Very smooth looking, very silent. BUT it's silent because the airflow isn't that impressive. Good thing I bought/could fit/afford 5 of them! it's a fan, nothing to write home about. It's pretty quiet and at full speed it's barely audible, not as horrible as some I've owned in the past. Came stock with my Node 804 and move a surprising amount of air with relative silence even with the aggressive fan curve. These fans are pretty quiet and they keep my NAS temps pretty decent.